This statistic presents the most preferred online shopping delivery locations of online shoppers in the United States as of November 2017. According to Loqate, a GBG solution, 91 percent of online shoppers preferred to have an online order delivered to their home address. 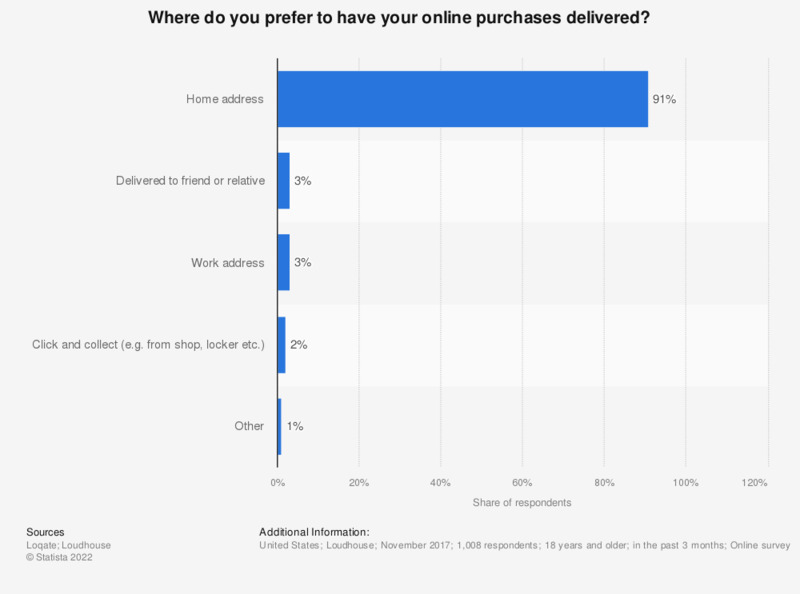 Delivery to a home address was also the most common option among online shoppers (LINK TO ID 940483). Question: And where do you prefer to have your online purchases delivered?